A backflow preventer in your plumbing system, prevents water that flows through your pipes to flow back into the city water instead of going to the sewer system. The way this usually works is by creating an air gap, which works by eliminating a cross-connection or provides a barrier to backflow. One of the most basic mechanisms to prevent backflow is a mechanical backflow preventer, which creates a physical barrier. How many times have you come home from a stressful day and just wanted to escape from everything? To be able to have you own little "Zen" space that will help you escape from the everyday events. The mere act of installing or replacing a bathtub can help bring that state of relaxation and your own personal balance in just minutes, creating a center for well-being. Few things feel as good as slipping into that warm water bath, whether it is a regular bath, a jetted tub or air bath, all your worries seem to disappear down the drain. So now you have selected your new countertops or faucets. What's the next step? There are many places to purchase a new faucet from. Whether it is price or selection that is the driving force in the decision you should remember if you supply the faucet only the labor is warranted. 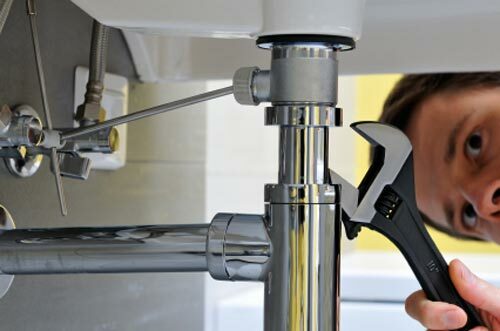 If the plumbing contractor supplies the faucet they have to warranty the product and the labor, so that is definitely the better deal. You have a sink full of food waste and you start to push it down the drain, flip the switch to turn your garbage disposal on and nothing happens. Have you had this happen to you? Don't panic! There may be several reasons for this and some are easy to fix. There are a few types of outdoor faucets. One of them is the hose bib. This is the water outlet that you attach the hose to, on the side of your house. Sometimes hose bibs break. This is not a big deal, but we recommend installing a gate valve on these so that when they are turned off you know they are truly off. Have you ever turned on you shower and had to stand there for a few minutes and wait for the water to get hot? Have you ever wondered what happens to the 2-3 gallons of water that run down that drain? That is actually money down the drain! If you consider the average home that takes four showers per day that can add up to thousands of gallons per year! That is a lot of money. The sink is an essential and key component of your bathroom. The possibilities are endless. You may choose from stainless steel, fireclay, china, porcelain, cast iron, copper, granite composite and even wood just to name a few. You may find it difficult to decide what is best for you. When looking at your options, take into account the use that the sink will get. Is it going to be in a high-traffic area, or is it in a powder room for guests and occasional use only. You can save a lot of water if you install a toilet that can handle a smaller amount of water when flushing. Many companies make toilets, but not all work as well as others. Usually it is because of the design of the bowl itself and /or the flushing mechanism. I won´t get too technical, but be aware of the change and educate yourself on it before you make the purchase. It´s always a drag to find out the hard way that your water heater needs to be replaced; it is, however, necessary. In general, the average water heater will last 5-8 years in Florida. If you wait beyond that, you take a chance. Not only is the water here in Southwest Florida hard on the water heater, but water heaters also rust. Water filtration is something that many people think is very expensive, so they would rather buy water at the store. Well, let's break that down. You drive to the store, using gas. You lift and carry a case of water to your car, then have to carry into the house and store it somewhere. There is not usually a lot of extra storage space in Florida, (Being from up north I sure do miss my basement!). Then you have all the empty plastic bottles that you have to recycle. They may end up in a landfill and can stay there literally for over a hundred years that is a long time! The water in Southwest Florida - South of Sarasota, mainly, is of such quality that it corrodes copper pipes. Many people are not aware of this and do not understand the importance of having their older plumbing checked before a pipe eventually bursts because of this corrosion. Sometimes you can taste the copper in the drinking water, and this means that it is time to replace the pipes. You may also see debris in the water, or the pressure may be lower than usual or the water may take longer to heat (due to the lower pressure). These may all be signs of defective pipes that need to be replaced. In Florida, one of the best options for pipes is PVC.